Canon India ended 2017 on a profitable note with a landmark growth in double digits. 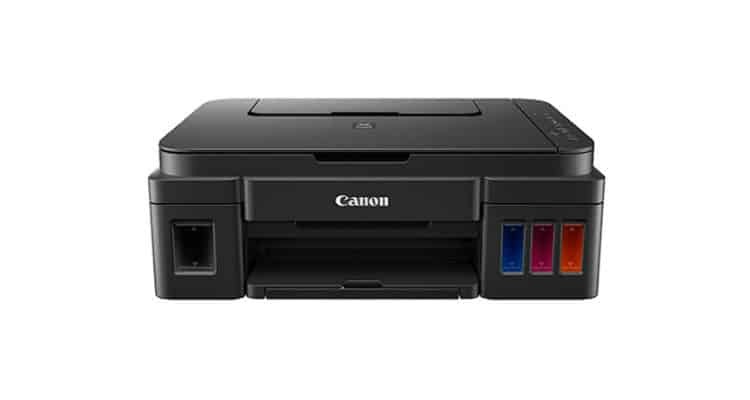 Further, Canon aimed to make larger space for itself in the Indian printing market. Along with inkjet penetration into B2B & B2G segment. The company began the New Year with the expansion of its portfolio with the launch of 6 new models under its popular PIXMA G Series. While briefing on the launch of the PIXMA G Series, Eddie Udagawa commented, ‘We have launched 6 new models of G Series. As you may know, we launched G series in 2015 end. So we have 6 new models that we launched, which will be very good for the Indian market’. Q: What are your expectations from the printing market in India? Canon India is expecting the market to grow much bigger in both areas, office and home with an upsurge in demand. On that Eddie said, ‘Like in India, earlier it used to be bigger families.Though today, it has been replaced by nuclear family and in each home there is a requirement of a printer and I hope they enjoy photo printing. Also with time, education will be more important in India. Therefore, more printer demand will be generated. I believe India is a very promising country for printers’. Q: What are the tech creative innovations we can look forward to? While discussing the creative innovations Eddie added, ‘We want to expand our target domain. We want users to enjoy printing so like the demonstration. We have a creative park so that customers can download a craft data and make a print and assemble. So this type of creative innovation, we are looking forward. Also, we want more people to enjoy photo printing because of low print cost. So, we want people to enjoy the creativity’. Q: Could you throw some light on 360 imaging solutions by Canon. When asked about 360 imaging solutions, Eddie commented, ‘As you know that we have both camera and printer products, therefore we have a very good concrete solution from input to output. It is not that we are talking about input device and output device. We have a good combination because colour calibration is very important. From capture to print, Canon has designed its products to work seamlessly together. Our camera technology captures true-to-life colour information. Our print technology precisely converts that information and reproduces every nuance and shade of that image. Q: In the launch, you mentioned that you would be expanding to both B2B and B2G markets, so how do you plan to cater the same? On explaining the future plans, C Sukumaran stated, ‘While we are already available in B2B and B2C segment, the inkjet as a product portfolio is extremely strong. Inkjet is moving into garment and enterprise. The reason why garment and enterprise were not looking at inkjet was due to the speed they were looking forward to. Maybe for output, they always found the laser to be better. If we have both Inkjet and Laser in front of you, you will be astonished that you will not be able to differentiate. Garment sector wants to look at Inkjet for smaller groups. So there is a choice for the consumer that we are providing. So there is a very strong laser range and strong consumer range that we have. We are asking the consumer to decide based on their need. For larger groups, we recommend Laser and for smaller groups, we recommend Inkjet’. Q: Canon has had a long journey in India. Could you brief your journey and company’s growth? Eddie threw light on the long journey of Canon in India, ‘Canon has 80 years history starting from business in Japan. Whereas Canon India has 20 years of history so we have grown a lot and as you may know, Canon started its business from Camera. So based on the imaging devices, we expanded our business domain and we are expanding our business in India based on the imaging technologies. As I already mentioned that we have input to an output device, so everything is based on imaging technologies’. Finally, in the end, he said that in India they will continue to endeavour their business domain. They also look forward to promoting more printing and photography culture so that the business in India expands. Eddie concluded by saying, ‘We are hopeful that printing solutions will be very much helpful for Indian people’.